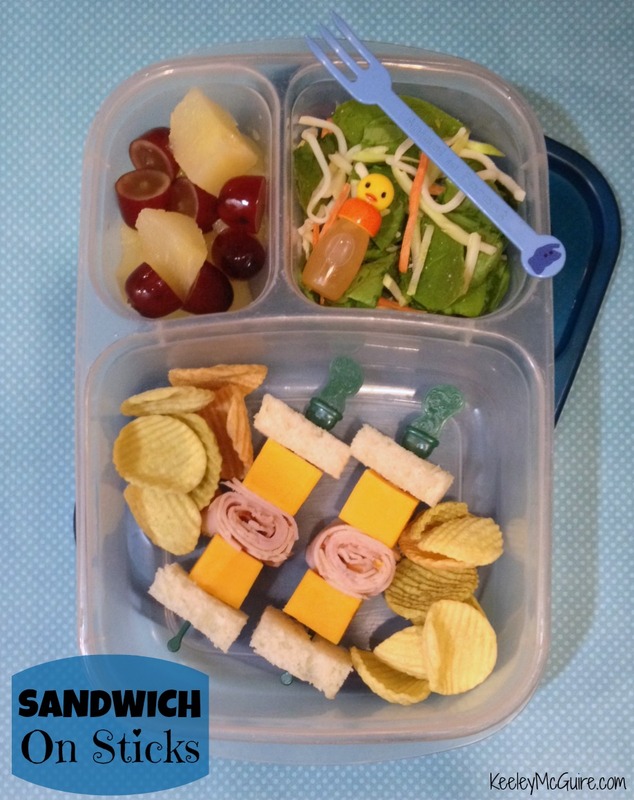 Little Miss also has in her LunchBox Veggie Chips, pear & red seedless grape fruit medley, and a spinach salad topped with dry broccoli slaw and shredded mozzarella cheese. The little bottle in the upper right corner? Is that dressing for the salad? And where would I find something like that? Hi Jen! It is a little salad dressing bottle. These particular ones aren't available anymore (boo! I know, I'd buy more...) but I have a link above to another kind similar that are perfect for the lunch box. Love sandwich on stick! Curious though if your daughter actually eats the bread cubes? My girl often skips her gf bread bc it doesn't hold up so well. What brand are you using, Dana? How is it not holding up - crumbly or soggy?